Griffiths Racing :: She's Something! It's all systems go for the Blue Diamond Stakes for impressive Moonee Valley debut winner Something Violet. A filly we have always had plenty of time for, Something Violet was contesting a significant race first go - her owners and breeders Hillside Thoroughbreds having won the same race 12 months ago with another debutant in Areti. Whilst that filly, who resumed with a somewhat unlucky but most encouraging third at Ballarat recently, is named after Hillside's Peter Arvanitis' wife Areti, Something Violet is named after the couple's daughter. Violet was on course for the win and what a lucky charm she is; it was her very first day at the races! And it was a most enjoyable experience for her with her namesake always travelling well in the 1000m contest. Trailing the leader on the rails, she was hooked out into the clear early in the straight, quickly responding to Ryan Maloney's urgings. "I came here pretty confident," Maloney said, noting that he has "liked her from day one." "She always does everything right though she can be a bit complacent. But when you ask her for an effort she finds another gear." "She was strong to the line tonight," he continued, "she is pretty smart." "She has always been a really nice filly," the stable's Don Healy added. 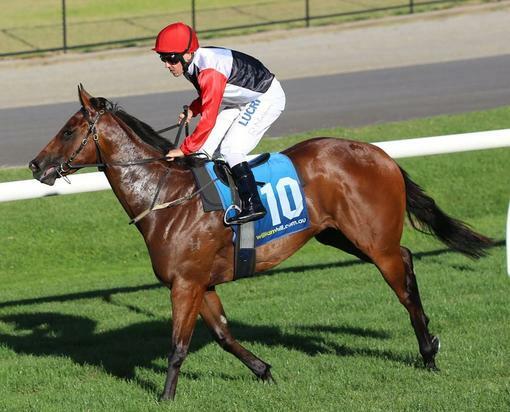 "We think enough of her that she will go straight to the Blue Diamond from here." The very final foal sired by the late great Commands, Something Violet is the sixth winner produced by the speedy Group Two winning Snippets mare Freestyle. Served last spring by Not A Single Doubt having produced a Deep Field colt last spring, Freestyle is also dam of the smart Hong Kong galloper House Of Fun and local metropolitan winners Avonaco and Tumble Turn. Her family is one that has been producing classy fillies for generations, its other members including the stakes winners Stella Artois (dam of Freestyle), Smytzer's Trish, Swish Trish, Aliyana Tilde, Ginzano and the unbeaten stakes winning two-year-old Teaspoon.